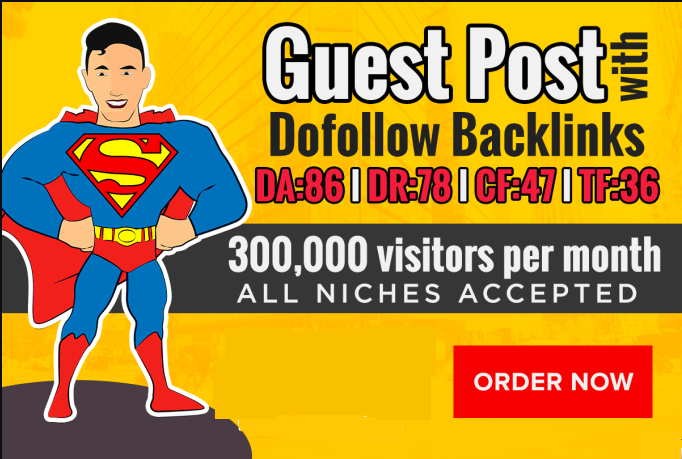 I will give you a permanent DOFOLLOW backlink from our DA 86 General Magazine Blog. We are the owners of this website. No dodgy posts on big news websites that get deleted once they are found out. This is the real deal. · A 400+ word article that is 100% unique and passes our strict plagiarism tests. No spun content and the article must have perfect grammar. No gambling/drugs/adult/replica topics.